Heartland Embroidery & Screen Printing can handle all of your embroidery, screen print, and promotional product needs. Heartland Embroidery & Screen Printing offers professional service and quality merchandise that you deserve. We would appreciate your trust in our business and pledge to consider you, our customer, our number one priority. We look forward to doing business with you in the future. We invite you to stop in and see our stores and the great samples of merchandise we have to offer. 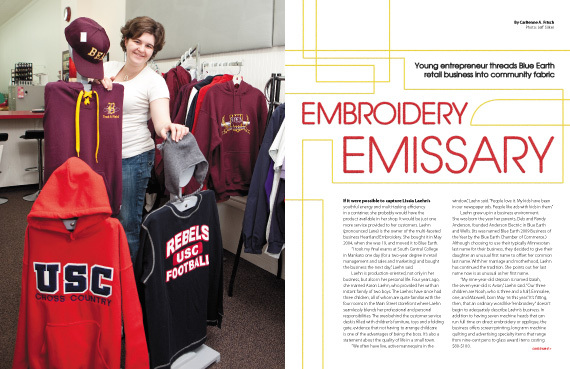 Heartland Embroidery was featured in Connect Business Magazine in July, 2010.